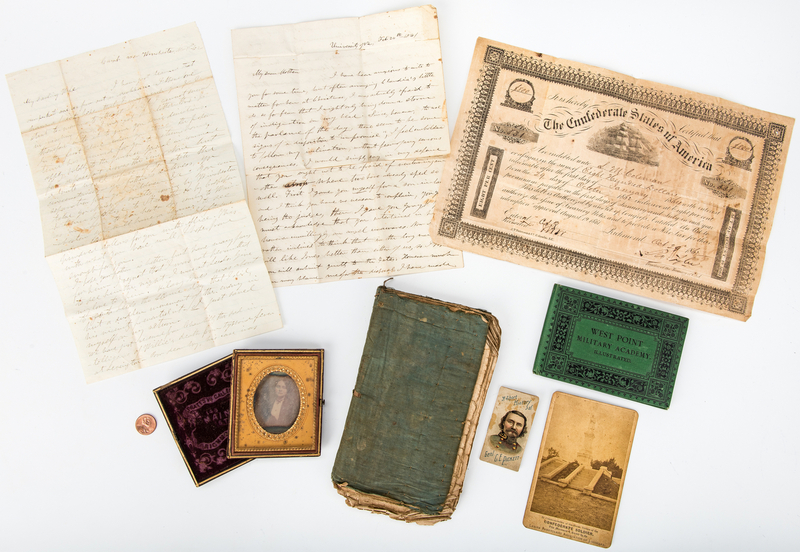 Civil War era archive, 8 items total. 1st item: ALS. Two page double-sided letter. 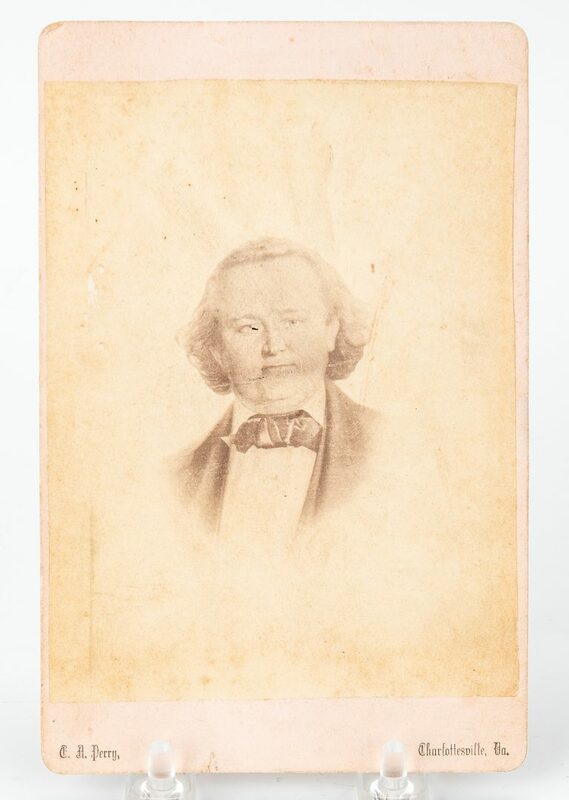 From Lewis Minor Coleman, University of Virginia, to Mary Orell Coleman, his mother, dated February 24, 1861. Coleman begins the letter by writing about family matters, specifically concerning his daughters Claudia and Maude. He also responses to his mother's "anxiety about my political course" stating that he voted for John Bell and Edward Everett of the Constitutional Union Party. He writes "…I shall be in favor of Va's going with her Southern sisters & I have confidence enough in a good God to believe that he will help us in our new Confederacy, if we are forced into it, as that vulgar, low-lived, foolish Lincoln seems likely to do…Even war has frequently proved in history the bloody portal to a more enduring glory & happine[s]s. I trust in God–There are too many noble men & good women in this south of ours, too many pious saints for God to give us up merely on account of a change in the form of our Government". He mentions that he would like for her to come visit him and his family and requests that she give his kind regards to his friends and family members. He ends the letter by stating that he is her "Affectionate Son Lewis M. Coleman". 9 3/4" H x 7 3/4" W. 2nd item: ALS. One page double-sided letter. 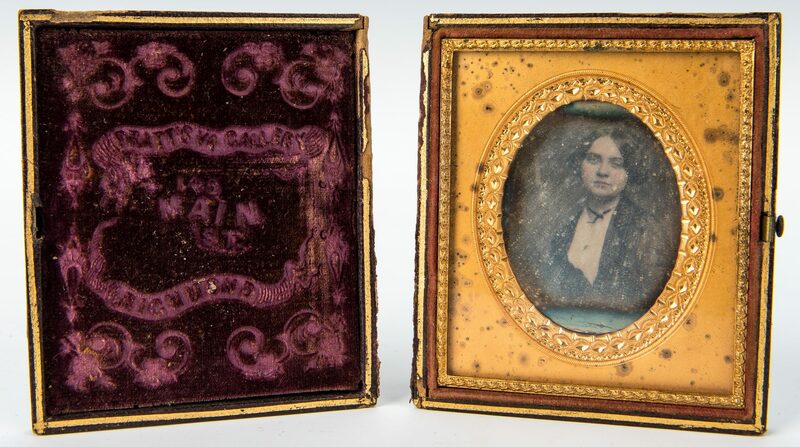 From Lewis Minor Coleman, Camp near Winchester, VA, Mary Ambler Marshall Coleman, to his wife, dated November 11, 1862. Coleman writes to his wife to give her instructions concerning regarding how she can go about obtaining a passport from "the Yankee General in command" to cross lines, stating "none but a brute would refuse you, if you state the circumstances–your father's sickness, your separation from your children & c…" he also writes that if she comes by Winchester she would have a chance to see him. Of his fellow soldiers, he writes "We have just received from Chantilly [VA] the sad intelligence of Willie's death from typhoid fever Lexington…". 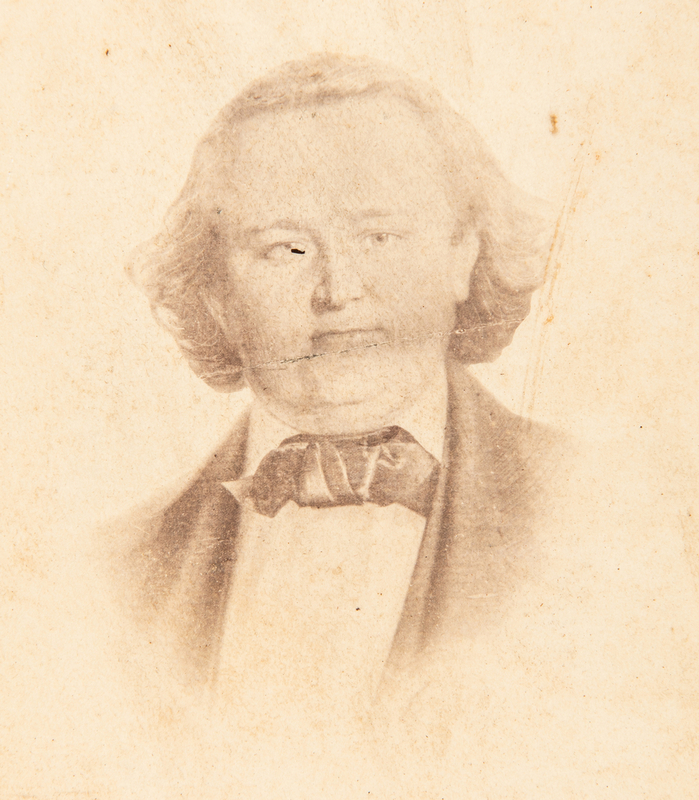 Coleman also mentions that a friend of his is missing, writing "…I fear he is either sick or was carried back to Culpepper by the tide of [Lieutenant-General James] Longstreet's army, probably misdirected by the soldiers who always think that everybody is going in the direction in which their own division is moving…". He ends the letter by stating that he is her "Devoted Husband Lewis M. Coleman". 12 1/8" H x 7 1/2" W. 3rd item: CSA bond issued to Louis Minor Coleman for the sum of eight hundred dollars "redeemable after the first day of January 1864 with interest from the 29 day of October 1862…" as part of an act approved by the CSA congress, August 19, 1861. Bond issued in Richmond, VA, and signed by Robert Tyler, Register of the Treasury, dated October 29, 1862, with initialed signatures indicating that it was entered and recorded into the record. Serial number 531. The reverse indicates that the amount was transferred to George Fleming of Hanover County, Virginia by Mary Ambler Coleman, dated January 4, 1864, after the death of Lewis Minor Coleman, her husband, at Fredericksburg, March 24, 1863. 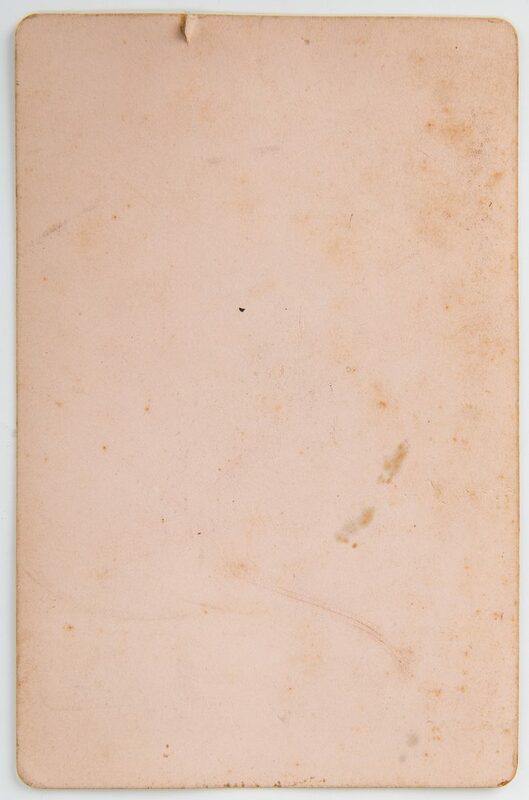 Executed in the presence of and signed by William Bagby, Louisa County, Virginia. Later pencil inscription and ink inscription reading "Sale of Sandora", lower right. 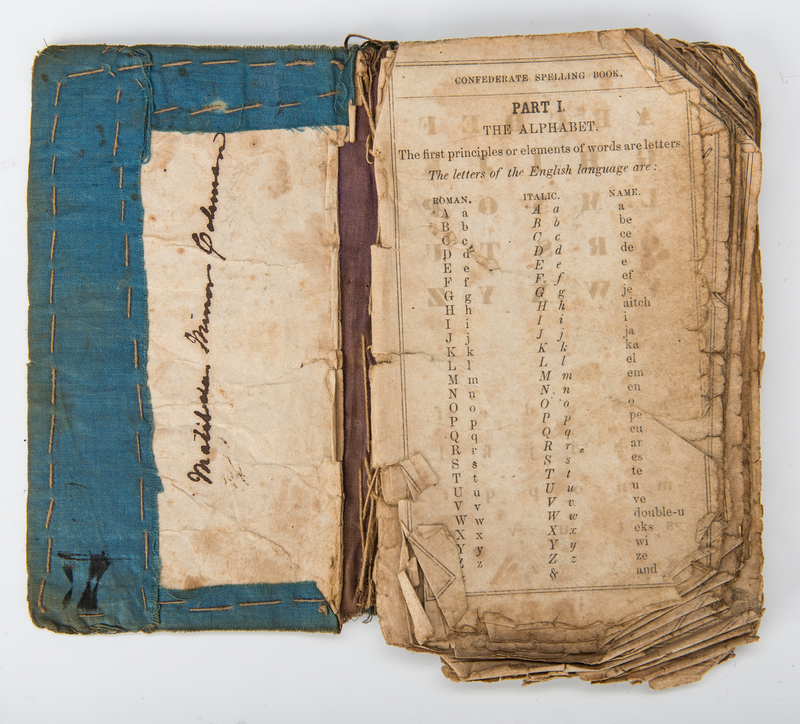 8" H x 12 1/2" W. 4th item: Confederate spelling book, belonging to Matilda Minor Coleman, daughter of Lewis M. Coleman. 156 pages bound in blue cloth with yellow hand stitching. 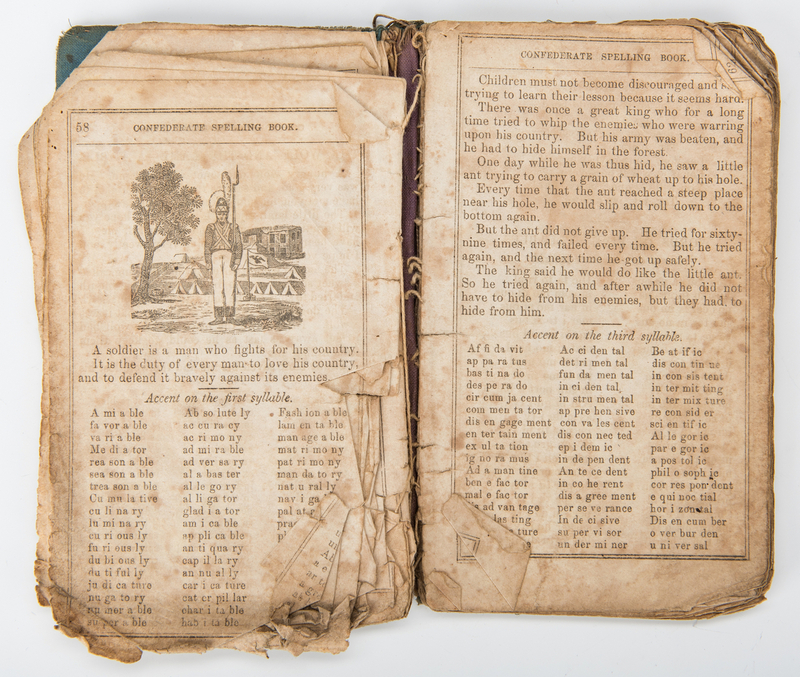 The content of the pages include spelling and reading exercises with "Confederate Spelling Book" above each page. The book also contains some steel engraved images, including one titled "Capital at Richmond" with a short description on page 123. 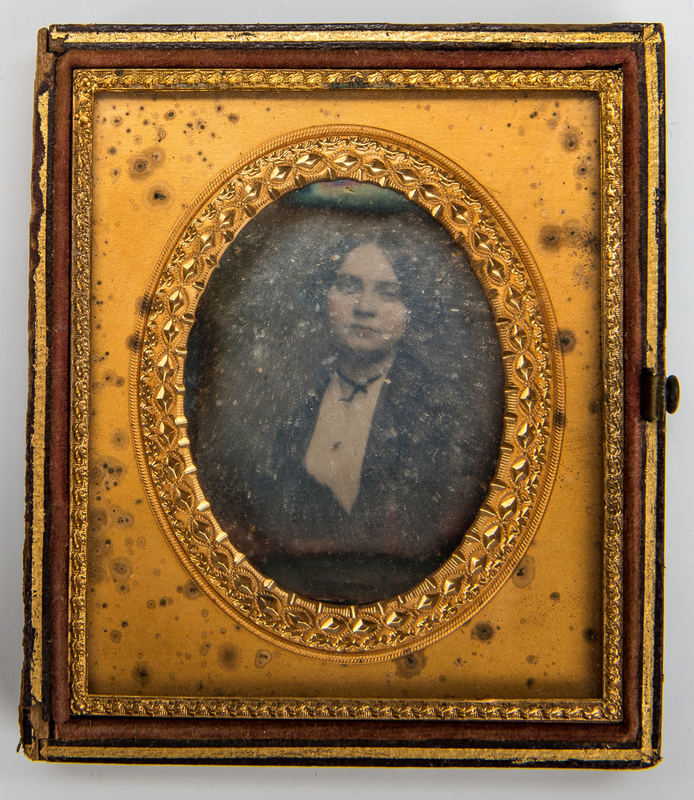 8" H x 4 7/8" W x 3/4" D. 5th item: Daguerreotype, sixth-plate, depicting Mary Ambler Marshall Coleman, wife of Lewis M. Coleman. Housed in a gutta percha case with purple velvet interior with embossed marks for William Abbott Pratt's Virginia Skylight Daguerrean Gallery, 145 Main Street, Richmond, VA. 3 7/8" H x 3 3/8" W. 6th item: Cartes de visite (CDV) depicting the Confederate Tomb at Greenwood Cemetery, New Orleans, LA. Studio marks for Theodore Lilienthal (United States/Germany, 1829-1894), back of CDV. 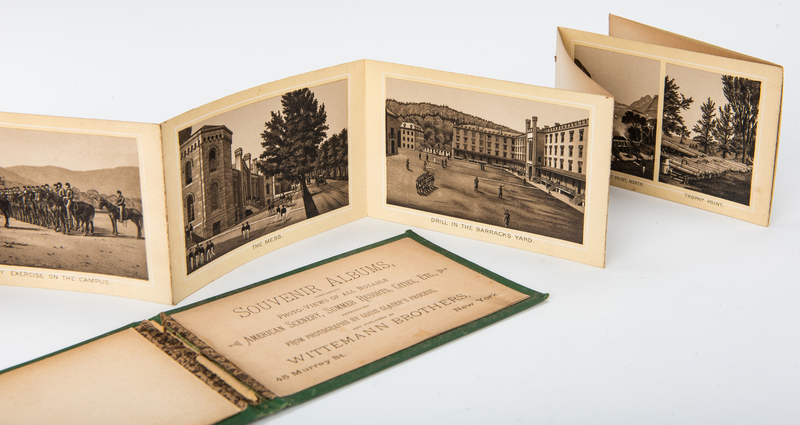 5 1/8" H x 3 3/8" W. 7th item: Booklet titled "A Short History of Genl. 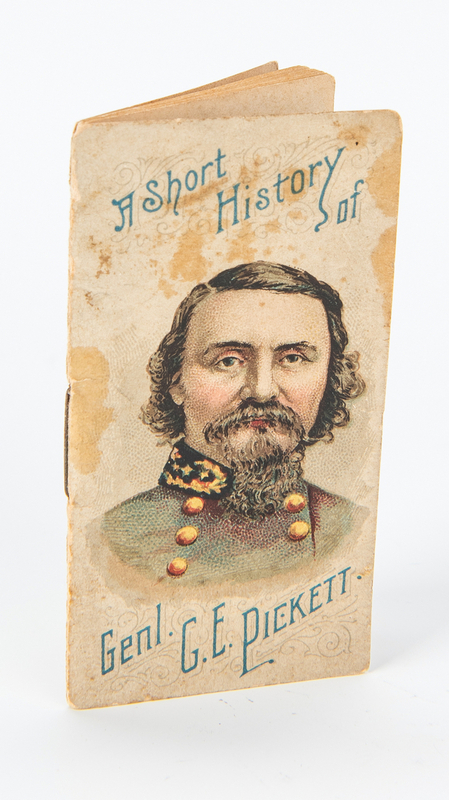 G. E. Pickett" lithographed and printed by Knapp and Company, Park Place, NY, 1888. Originally included in packages of Duke's Cigarettes. 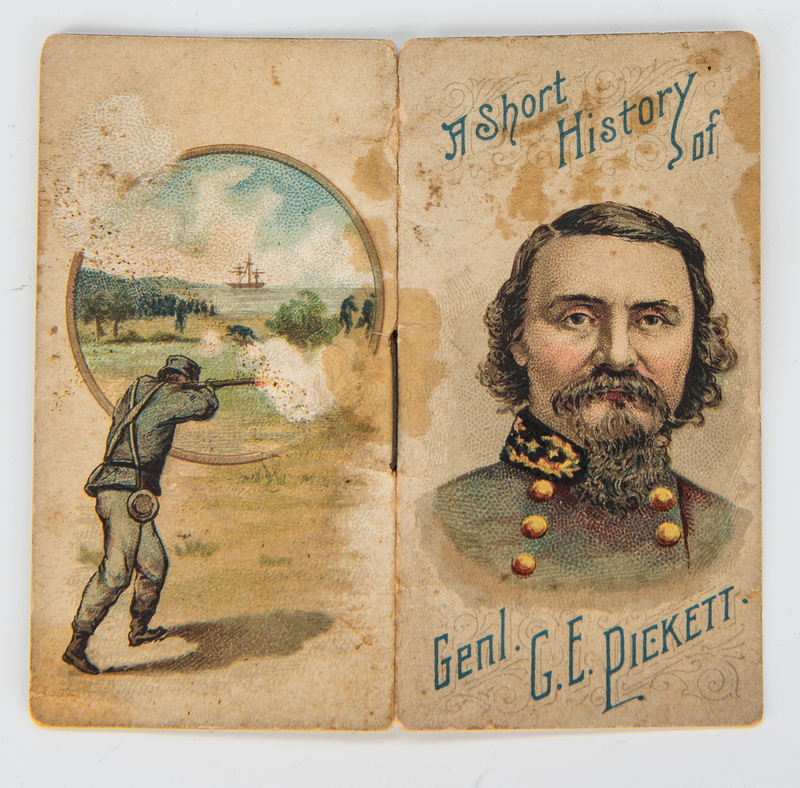 Paper bound with chromolithographic images of Pickett, front cover, and a Confederate soldier firing a rifle into a a vignette of a landscape, back cover. 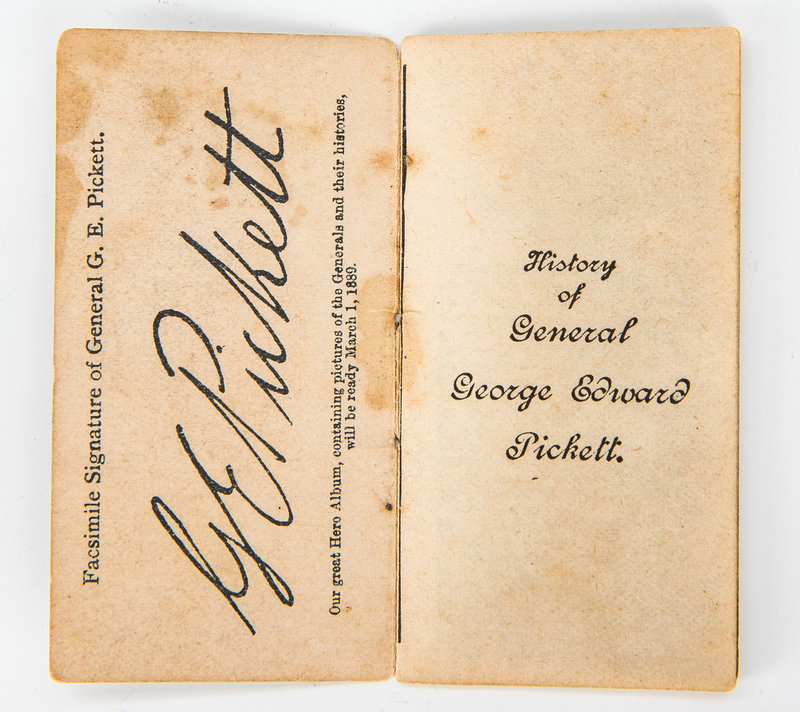 Includes facsimile of Pickett's signature, inside of front cover. 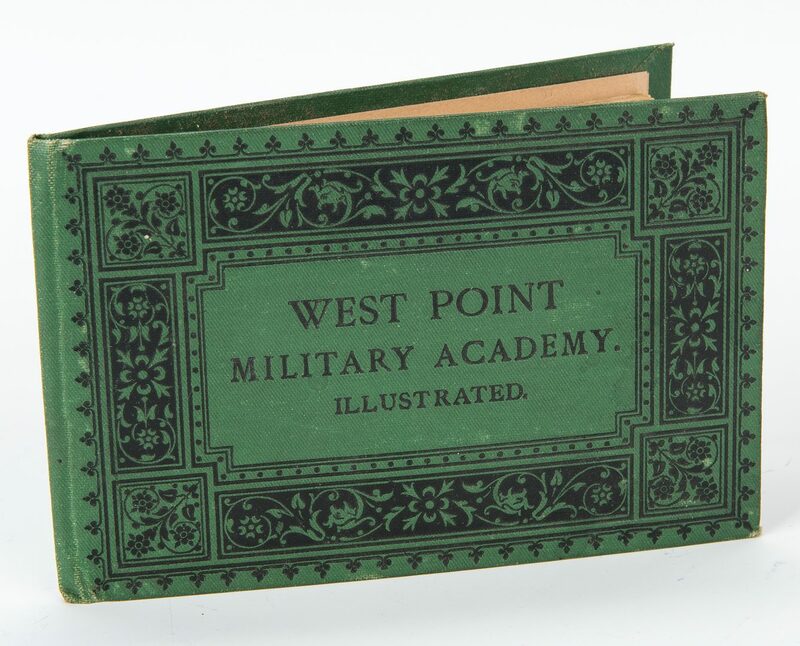 2 7/8" H x 1 5/8" W. 8th item: Illustrated souvenir album of West Point Academy, reproduced from photographs by Louis Glaser's Process, published by the Wittemann Brothers, New York, NY, circa 1885. Thirteen lithographic images depicting scenes of West Point housed in a green cloth bound album with black lettering an tooled designed to covers. Images approximately 2 1/2" H x 3 7/8" W. Album – 3 1/2" H x 5 1/4" W x 1/4" D. Provenance: The Estate of Charles Boyd Coleman, Jr., Chattanooga, TN, by descent from Lewis Minor Coleman, Jr., son of CSA Lt. Colonel Lewis M. Coleman and Mary Ambler Marshall, daughter of James K. Marshall and granddaughter of John Marshall (1755-1835). Lewis M. Coleman Jr. was related to the family of Henry Dearborn by his marriage to Julia Wingate Boyd, daughter of Annette Maria Dearborn Boyd, who was the daughter of Greenleaf Dearborn (1786-1846) and great granddaughter of Henry Dearborn (1751-1829) on her mother's side. CONDITION: 1st-2nd items: Overall good condition with foxing spots, areas of dampstaining, tears, etc. and to be expected from age. Signatures in good condition. 3rd item: Overall good condition with foxing spots, toning, to be expected from age. 4th item: Overall good condition with tears, foxing spots, wear, etc. to be expected from age and manner of use. Pages collated, with majority separated from the spine. 5th item: Overall good condition. Image faded but visible. Case separated at spine with loss, largest 3 1/4", to edges. 6th item: Overall good condition with fading, foxing spots, to be expected from age. 7th item: Overall good condition with dampstaining, to be expected from age. 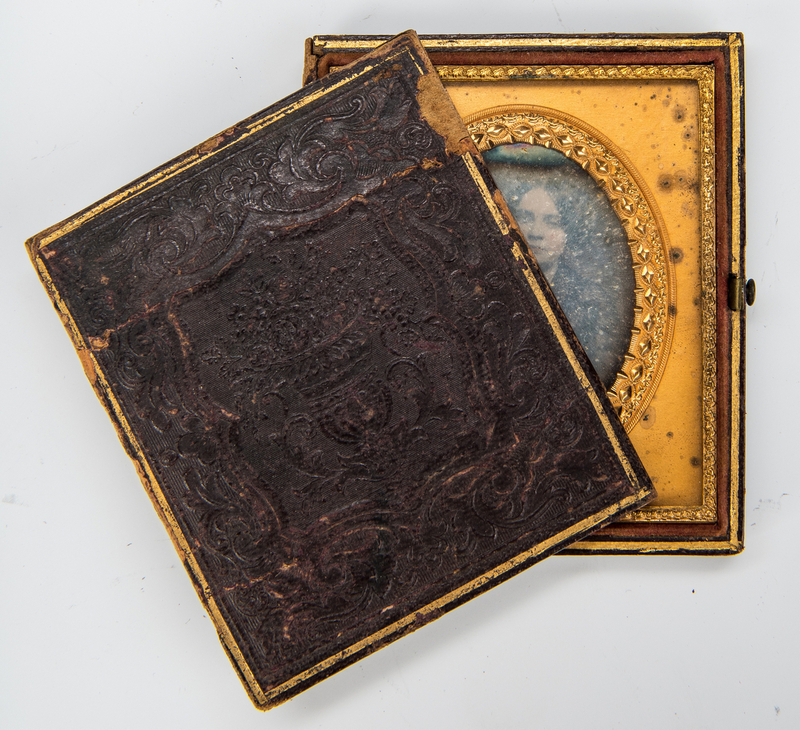 8th item: Images no longer attached to binding. 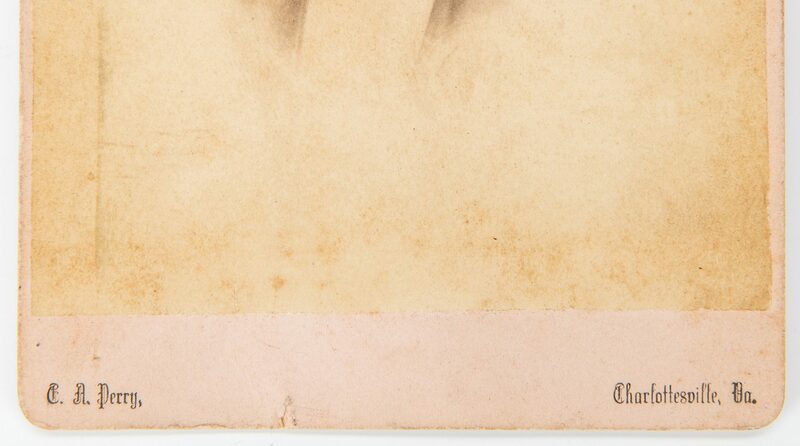 1/4" x 1" loss to top corner of first image. Covers in overall good condition.